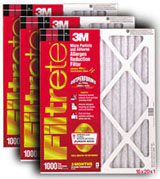 We carry an wide assortment of Allergy Relief Products to help your "Easy Living" being allergy free. Electrostatic fibers capture harmful airborne micro particles including smoke, pet dander, mold, bacteria, pollen and lint. It's no surprise that your quality of life has a lot to do with quality of sleep. But if you suffer from allergies, a good night's rest can be hard to come by. Fortunately, it doesn't have to be. The secret is Pristine®. This advanced line of bedding creates an impenetrable barrier between you and the irritants that get in the way of restful sleep. Unlike other barrier fabrics, Pristine is soft, breathable, and strong enough to withstand repeated washings. Because to achieve a good night's sleep, you shouldn't have to give up what matters most: comfort. DampRid eliminates excess humidity. It helps prevent musty odors caused by excess moisture in the air to create a more comfortable home. 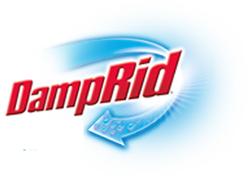 By reducing excess humidity, DampRid helps create fresher indoor air. DampRid absorbs excess humidity throughout your home, reducing humidity to a safe level. Keep allergens out of your carpet with our central Vacuums and our carpet cleaners made especially for allergy relief. Come into our showroom or visit our online store. Thousands of soft, dense lambswool fibers act as a magnet to naturally attract and hold dust particles without the use of cleaning chemicals or aerosals keeping your home AND air allergen free.